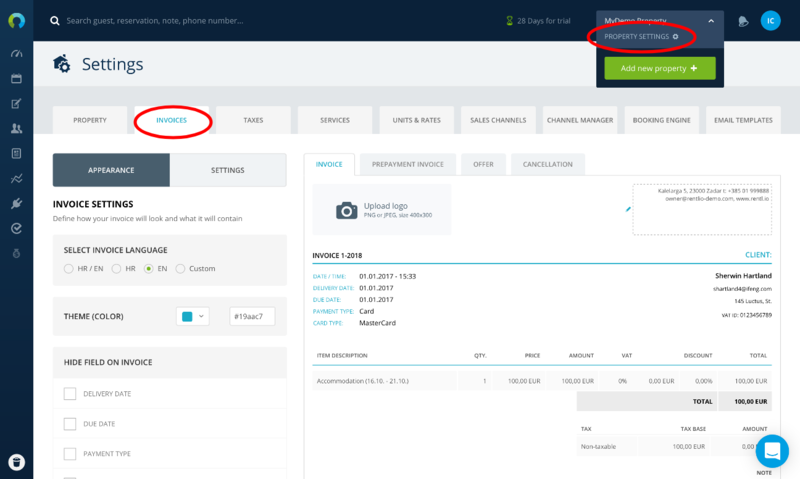 Initial invoice number: starting number of your invoice count in Rentlio; For example, if you have been using another software before and you issued 10 invoices, you will enter 11 as your initial invoice number in Rentlio settings. Note: initial display of the Rentlio invoice contains all invoice elements prescribed by laws of the Republic of Croatia. However, you can easily hide certain fields if you don't need them or if they are not required by your country laws. Also, you can edit layouts of invoices, prepayment invoices, offers or cancellations separately. That way your invoices can have different notes than offers or cancellations.